Kurt Lasse was born on 17 February 1918 at Rawitsch in Posen. At the outbreak of World War 2, Lasse was serving with 6.(J)/186. On 6 July 1940, 6. (J)/186 was redesignated 9./JG 77. Lasse operated over France, Norway, the Channel front and the Balkans, where he finally achieved his first victory when he claimed a RAF Blenheim twin-engine bomber shot down on 19 April 1941. On 19 April 1941, Lasse was appointed Staffelkapitän of 9./JG 77. Following the successful conclusion of the Balkans campaign, Oberleutnant Lasse led 9./JG 77 to bases in Rumania to prepare for the invasion of Russia. Lasse was particularly successful over the Eastern front. On 23 June 1941, he claimed three enemy aircraft shot down to record his third through fifth victories. Lasse recorded his 10th victory on 4 July, when he shot down a Russian I-16 fighter. On 27 August, he shot down three Russian MiG-3 fighters (16-18). Lasse shot down two Russian twin-engine bombers on 31 August (19-20). His most successful was September, when he claimed 17 victories, including three Russian DB-3 twin-engine bombers shot down on 7 September (23-25), three enemy aircraft shot down on 16 September (26-28) and his 30th victory on 19 September. On 8 October 1941, Lasse, in Bf 109 F-4 (W.Nr. 8475) “Yellow 1”, collided with his wingman, Feldwebel Robert Helmer (35 victories, DKiG, killed in action 26 February 1943) during aerial combat with Russian MiG-3 fighters over the Perekop Isthmus and was killed in the resulting crash. Helmer was able to nurse his damaged aircraft back to a safe landing at Tschaplinka.  Oberleutnant Lasse was posthumously awarded the Ritterkreuz on 3 May 1942. 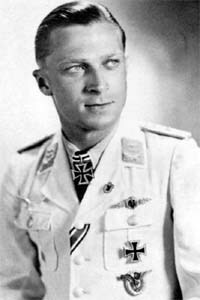 Kurt Lasse was credited with 39 victories in over 300 missions. He recorded 38 victories over the Eastern front.